Slightly different pHs, but both are somewhere between 5.0 and 6.0. 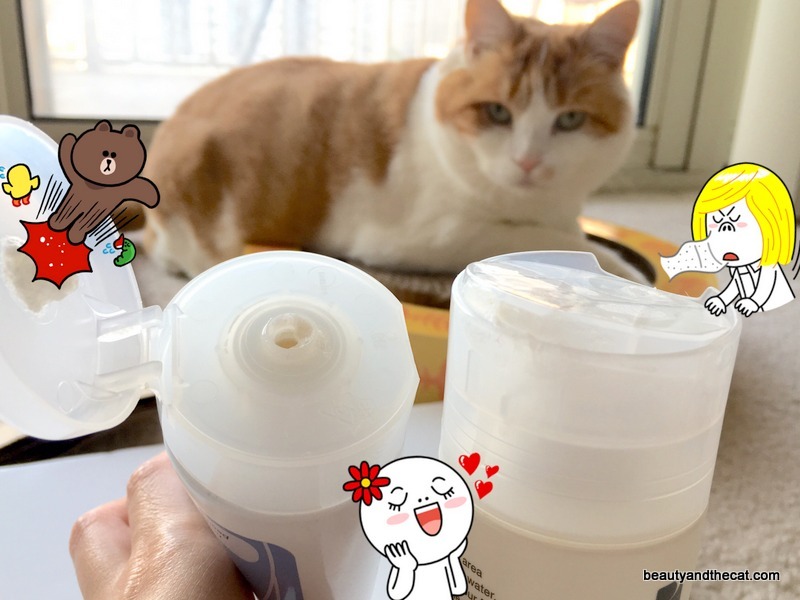 In terms of convenience, I still love my auto-foaming cleansers more (see Hada Labo Gokujyun face wash for example). 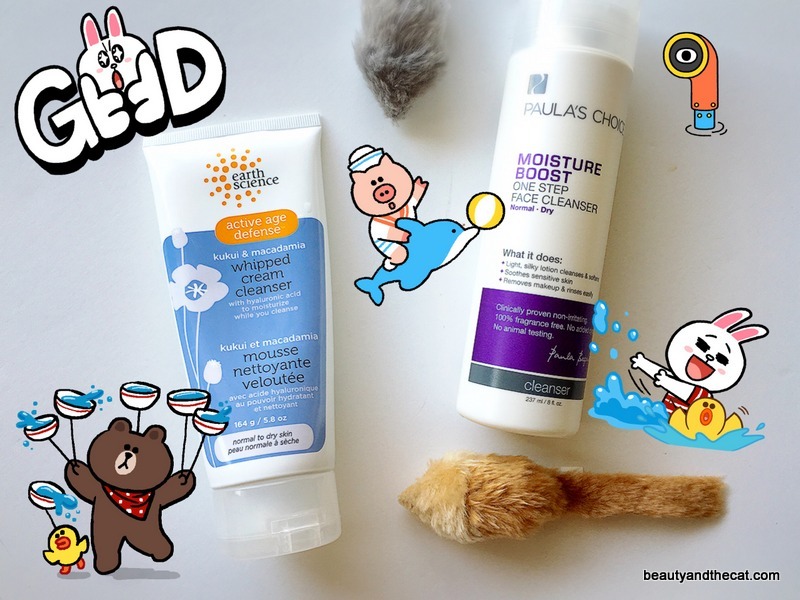 But I’m happily using these two right now because they leave my skin clean, soft, and not feeling stripped/tight–very restorative and comforting options for when winter rolls around. These two are different from the typical cleansing milk/cream that doesn’t lather and that leaves an oily residue. (Sometimes, these are applied on dry skin and can be simply tissued off.) In contrast, both of these lather and rinse off easily with no residue. Use them just as you would any foaming cleanser on wet skin. Ultimately, I prefer the cleanser by Earth Science Naturals for its plushness and sliiiightly higher amount of lather. Read on for quick reviews of each one. At $15 for 5.8 oz. and often discounted on various sites, Earth Science Naturals Whipped Cream Cleanser is affordable luxury in a tube. The cream feels silky, thick, and plush in your hands and can be worked into a thin lather. The cons are the slightly generic lotion scent (like an Oil of Olay fragrance) and that it takes a bit more work to get a good lather if, say, residue from your oil cleanser is on your hands. But that’s not enough to detract me. I love that my skin feels clean but soft at the same time. One thing I love about Earth Science Naturals as a brand is that it specifies the pH right on the product. And in this case, the pH was actually accurate! More companies need to do this. This has been repackaged and renamed as Paula’s Choice CALM Redness Relief Cleanser for Normal to Dry Skin. At $18 for 8 oz. (more than 2 ozs. more than Earth Science Naturals), it’s fairly economical given that only a little bit is needed each time. UPDATE Dec. 6, 2016: Paula’s Choice brought back the original based on customers’ requests. 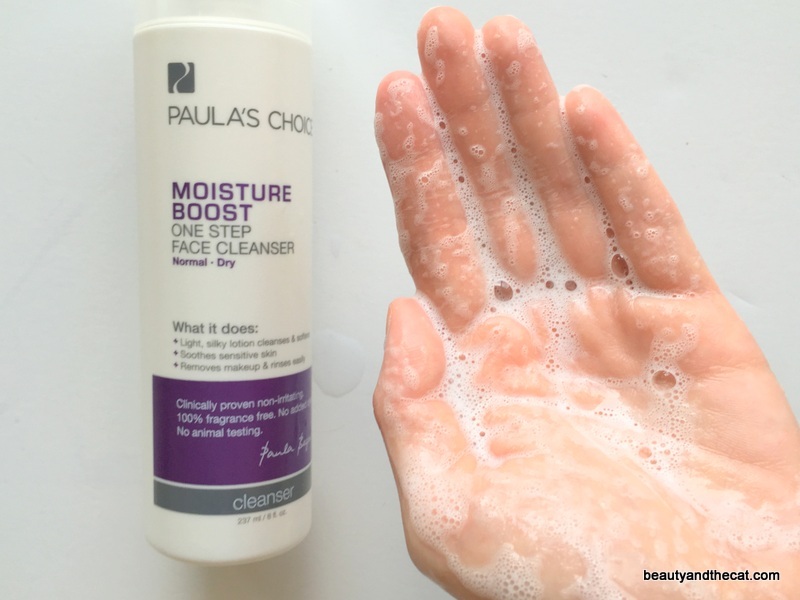 Find Moisture Boost One Step Face Cleanser here. This section has been updated to reflect current prices and ingredients. 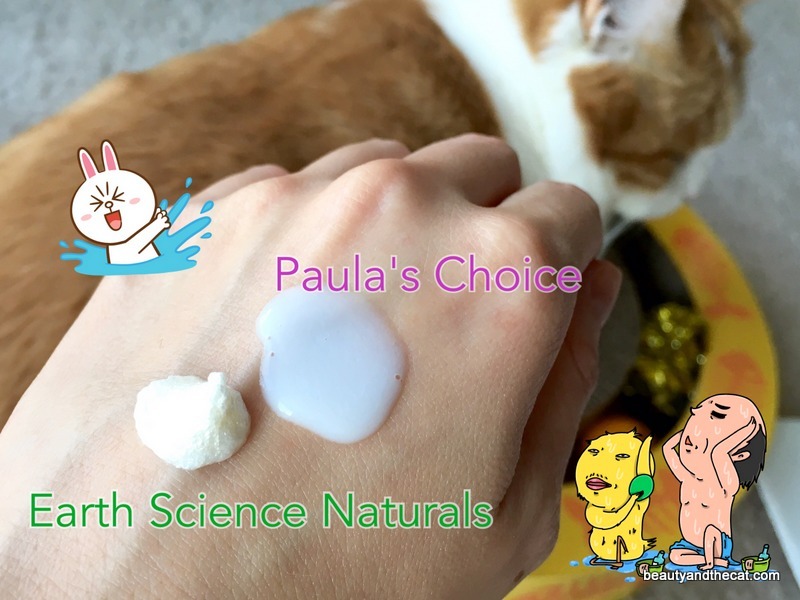 Compared to Earth Science Naturals, the Paula’s Choice cleanser is much runnier (more lotion than cream), has thinner lather (although both have pretty low lather for foaming cleansers), and is fragrance free. 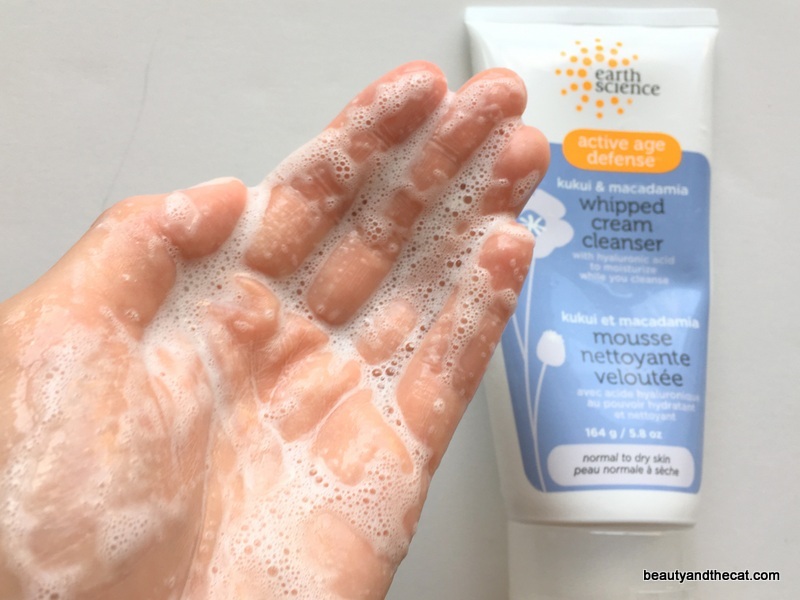 A solid, no-frills cleanser–just really unexciting, and that’s why I wouldn’t repurchase. 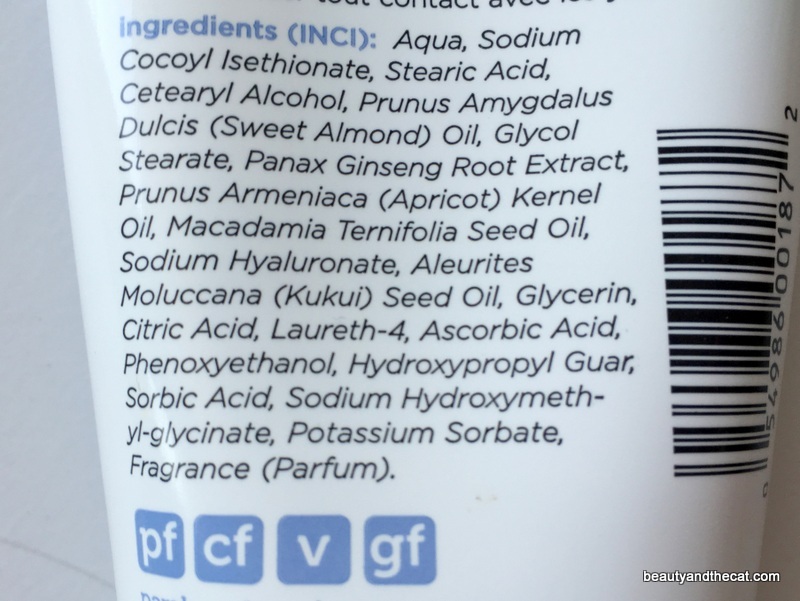 And below are the ingredients for the “same just repackaged” version in the CALM Redness Relief line–looks like the same ingredients but, for whatever reason, hydroxyethylcellulose appears much lower on the list in Moisture Boost than in CALM Redness Relief. One review says that CALM Redness Relief feels a bit more drying than Moisture Boost. 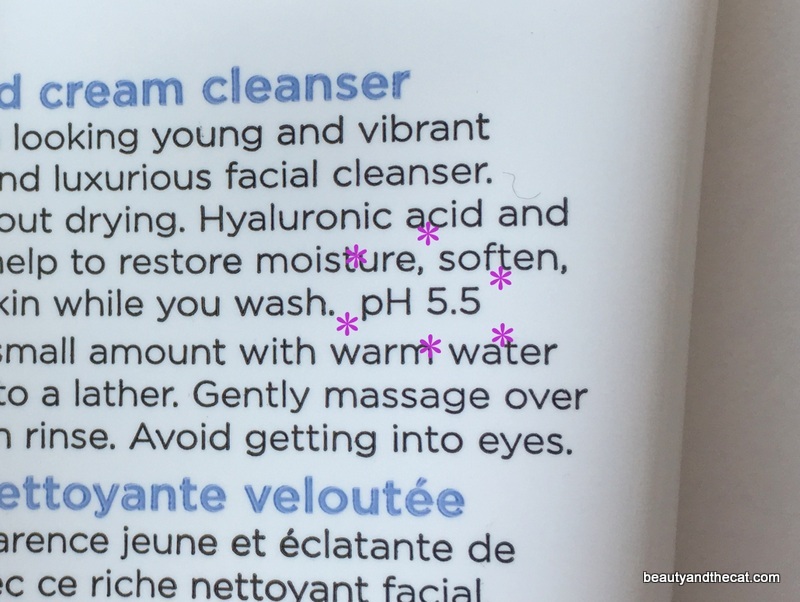 Given that Paula’s Choice brought back Moisture Boost, it seems likely that CALM Redness Relief really wasn’t the same exact cleanser. Water, Sodium Laureth Sulfate (cleansing), Glycol Stearate (texture-enhancing), Methyl Gluceth-20 (emollient), Glyceryl Stearate (texture-enhancing), Hydroxyethylcellulose (texture-enhancing), Chamomilla Recutita Matricaria Flower Extract (chamomile/skin-soothing), Aloe Barbadensis Leaf Juice (hydration/skin-soothing), Cocamidopropyl Betaine (cleansing), Sodium Cocoyl Glutamate, Disodium Cocoyl Glutamate (cleansing), Sodium Hyaluronate (hydration/skin replenishing), Sodium PCA (hydration/skin replenishing), Caprylyl Glycol (preservative), Hexylene Glycol (preservative), Propylene Glycol (hydration/penetration enhancing), Citric Acid (pH balancer), Phytic Acid (stabilizer), Phenoxyethanol (preservative). I love Earth Science, they have a really great fruit oil cleanser. I wish this brand was available abroad, I will have to look fur thus cleanser when I’m stateside again! ooh thanks so much for this review, i think i’ll check out the cleanser by earth science. their brand looks awesome. are there other products from them you recommend? Renee thought their ceramide shampoos and conditioner made her hair shiny (her review is in the blog archives). And I’m enjoying the azulene eye cream. It’s nothing earth-shattering in terms of effects, but it’s a pretty blue lightweight cream that’s generously sized for an eye cream. Great value. cool, will definitely look into it, thanks! Such a good comparison post! Good job – followed!